This review is possibly a little confused but a very honest one. 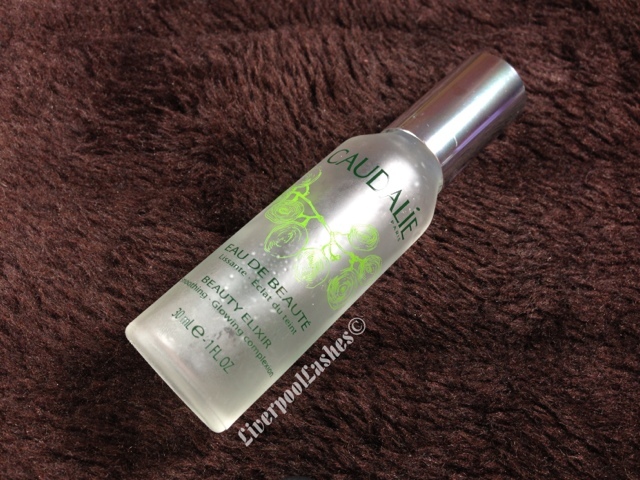 I bought the Caudalie Beauty Elixir at the start of last summer because of all of the hype that it had gotten from alot of the UK You Tubers. I sprayed it on my face over my make up as soon as it arrived. It was a deliciously fresh scent, mint and herbal is the best description I think. I put my bottle in my handbag and sprayed it constantly for the next two weeks worrying that I had some sort of addiction to it! Now I must say straight away that although I used it alot I didnt initially feel a difference in my skin other than a refreshing mist. Alarmed at the rate that the bottle was going down, I tucked it away in a drawer for a while but fast forward to around two months ago when I started sorting out of my make up and skincare into a properly organised stash and came across it again. I sprayed it over my face again and recoiled... I swear it didnt smell right and I was then suitably furious that it had gone off. It was only when I was talking to someone else who also had it, telling her that mine was 'off' as it smelt funny, that she got out hers and it smelt the same. I'm the sort of person that when something puts me off its hard to get past that - particularly scents - but armed with the knowledge that it was meant to be like that I have carried on using it until the bottle is virtually empty. The bottom line is... i'm not sure about it. If you're after a hydrating facial spray then this is for you and i'd say its really good for that, far better than a water spray like Evian or Vichy Thermal Water. As far is the claim of 'tightening pores' and 'burst of radiance' - the pores i'm not sure of and perhaps it gives a little radiance. I think my biggest problem with it is that i'm not sure if the hype has brain washed me and/or others into thinking its better than what it really is.. but then on the other hand I found myself mooching around the Feel Unique website wanting to order another last night? !